CMA organises public and off-the-record seminars on mediation in Africa with senior members from the South African government, the United Nations and other mediating bodies. 3 May 2016 - the Department of Political Sciences and the CMA hosted a public seminar on the topic: South Sudan: What Is Happening and What Is To Be Done? The speakers for the event were Juerg Eglin (Head of Delegation, ICRC delegation in South Sudan) and Ebrahim Deen (Senior Researcher at the Afro-Middle East Centre/AMEC). The title of the seminar was Burundi: What Is Happening and What has to be Done? The guest speakers that featured were Burundian Ambassador to South Africa Isaie Ntirizoshira, Amb. Weilile Nhlapo (former National Security Advisor of President Zuma) and Shannon Ebrahim (Group Foreign Editor, Independent Media). The presentations were followed by robust questions and comments from participants. On 24 February the Department of Political Sciences and the Centre for Mediation in Africa hosted a public seminar addressed by the Deputy Minister of International Relations and Co-operation, Ebrahim Ebrahim. The presentation was entitled "Twenty Years of South African Involvement in Conflict Resolution: Lessons Learned and the Case of Syria". The Deputy Minister emphasised the necessity for the Syrian conflict resolution process and outcome to be fully inclusive and representative in order to be sustainable. For a copy of the Deputy Minister's address, click here. 14 May 2013 – CMA hosted a seminar entitled ‘Crisis and Peacemaking in the Central African Republic’. Mr Joao Honwana (pictured), Director of the Africa II Division in the United Nations Department of Political Affairs offered his insights on the process. 14 March 2013 – CMA hosted a seminar entitled "Reflections on the Mali Crisis: What is to be done?" The event was chaired by Ambassador Mdu Lembede, Chief Director responsible for West Africa, South African Department of International Relations and Co-operation (pictured below left). Speakers included the Institute for Security Studies' Dr David Zounmenou (left) and Centre director Professor Laurie Nathan (below right). 1 March 2013 – The Dept of Political Sciences and the South African Foreign Policy Initiative held a seminar on 'The SADC Tribunal: Removing the Scales of Justice'. The keynote speaker was Judge Ariranga Pillay, former Judge President of the Tribunal. The other speakers were Nicole Fritz, Executive Director of the Southern African Litigation Centre, and Laurie Nathan. For a report and the speeches, click here. 28 November 2012 – the CMA, in association with the UN Mediation Support Unit, hosted the Africa launch of the UN Secretary-General's report 'UN Guidance for Effective Mediation'. The speakers were Fink Haysom, Deputy Special Representative of the UN Secretary-General in Afghanistan; Hellen Gichuhi, Deputy High Commissioner of Kenya; and Laurie Nathan. The speakers explored the dilemmas and complexities of mediation in high intensity conflicts. 5 April 2012 – The CMA ,in collaboration with the UN Mediation Support Unit, held a consultative workshop on international mediation. The workshop was part of the process of preparing the UN Secretary-General’s Guidance on Effective Mediation. The workshop was opened by University of Pretoria Vice-Rector Prof Stephanie Burton and Dr Agostinho Zacarias (pictured), the UN Resident Coordinator and UNDP Resident Representative for SA. The workshop report summarises the main points that emerged at the workshop. It covers the definition and goal of mediation; the appointment of the mediator; the question of cultural fit; mediation teams; non-partisanship; involving civil society; no quick fix; addressing the root causes of conflict; learning lessons; the transition from negotiations to implementation; and the harmonisation of peacemaking initiatives. To download the workshop report, click here. Africa's Department of Tourism and former South African envoy to Somalia, presented paper on the peace process in Somalia. To download his presentation, click here. of Political Affairs and Acting Director of Joint Support and Coordination Mechanism, UNAMID, presented a paper on the Darfur peace process and the role of the mediator. 13 October 2011 – the President of the Republic of South Africa, His Excellency Dr Jacob Zuma, addressed the UP staff, students and members of the diplomatic corps and other invited guests on aspects of South Africa's foreign policy. President Zuma's address was hosted by the University of Pretoria's Department of Political Sciences and the Centre for Mediation in Africa. To download President Zuma's speech, click here. 15 September 2011 – the Deputy Minister of International Relations and Cooperation Ebrahim Ebrahim addressed a panel discussion on the topic "Libya, the United Nations, the African Union and South Africa: Wrong moves? Wrong motives". 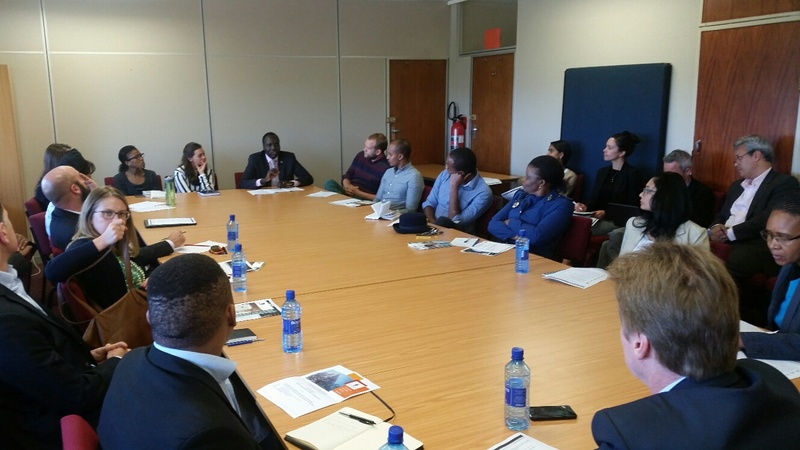 The CMA, the Department of Political Sciences and the Centre for Human Rights at the University of Pretoria hosted the event. To download Deputy Minister Ebrahim Ebrahim's speech, click here. For Prof Laurie Nathan's remarks, click here. 30 March 2011 – the CMA and Department of Political Sciences hosted a panel discussion on the topic "South Africa's second term on the UN Security Council – expectations, objectives and challenges". The Deputy Minister of International Relations and Cooperation, Marius Llewellyn Fransman, was the keynote speaker at the event. To download Deputy Minister Fransman's speech, click here. 11 May 2011 – Prof Roland Paris, University of Ottawa Chair in International Security and Governance, presented a seminar on academic research and policymaking in fragile states. 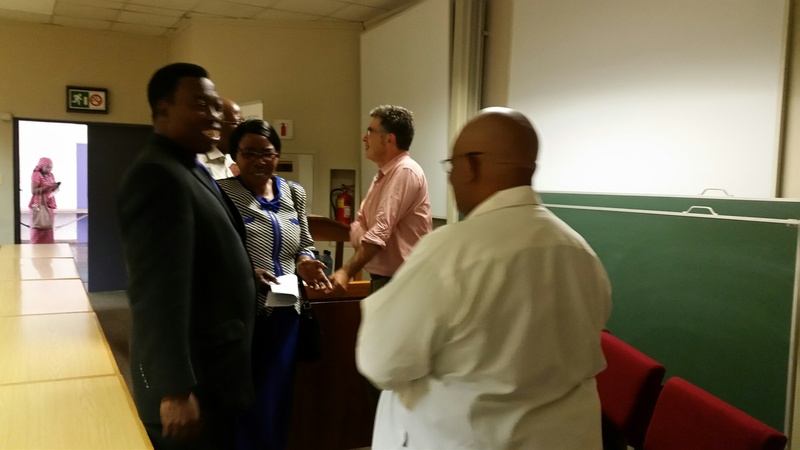 Prof Paris was a guest of the CMA and the Department of Political Sciences.